Process and plant engineers who must remote mount an air/gas flow meter transmitter to avoid hazardous areas or difficult-to-reach, equipment-crowded locations will find the new ST50 Remote Mount Flow Meter from Fluid Components International delivers high performance, installation versatility and economy in air, compressed air or nitrogen and a variety of other processes gases, as well as plant HVAC systems. Featuring highly intelligent no-moving parts thermal mass flow sensor design, the ST50 Remote Mount flow meter measures, air flow from 0.3 to 38 NMPS, nitrogen from 0.3 to 46 NMPS and compressed air from 1.2 to 122 NMPS. Accuracy is +1% of reading, +0.5% of full scale, with repeatability of +0.5% of reading. It operates at temperatures from 4 to 38°C. 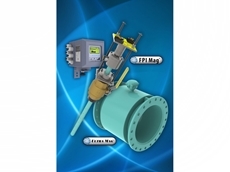 Remote mount flow meters are ideal in equipment crowded or hazardous plant areas where explosive, flammable or toxic gases may be present near the transmitter’s electronics. The ST50’s Remote Mount transmitter, which includes a full digital display, can be mounted up to 15 meters away from its thermal mass flow sensor in the process piping and connected via two 0.50-inch FNPT cables. The rugged ST50 transmitter may be specified with either an 18-36 Vdc or an 85 to 265 Vac input power supply and is housed in an all-aluminium, epoxy-coated enclosure that is NEMA 4X (IP66) rated. 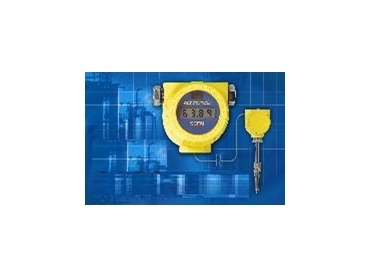 It features a digital display with an LCD screen that is user scalable to flow rate units or as 0-100 percent. Approvals include FM, CSA and CE Mark. The ST50 is also available with built-in wireless IR communication technology via a standard Palm OS PDA. Obtaining measurements, setting changes and reading trouble-shooting codes can be done without ever having to open the instrument or transmitter. This handy feature is ideal for use with flow meters that are remote mounted in hard-to-reach locations or where opening the instrument is inconvenient or labour intensive. 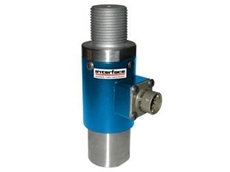 The ST50 Remote Mount Flow Meter is field configurable for flow range in standard mass flow or volumetric engineering units. 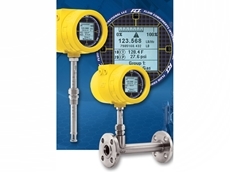 In addition to the wireless IR I/O, ST50 Remote Mount Flow Meter features dual analogue outputs (4-20 mA and 0-10 Vdc), which are field assignable as flow rate or temperature, and an RS232C I/O port. A 0-1kHz pulse output for totalising flow is also available as an option. 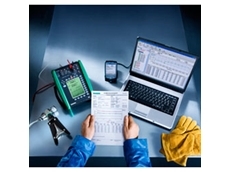 All configurations are easily user set in the field with any standard laptop connected to the RS232C port and/or via the wireless IR link/PDA. Designed for long-life in harsh outdoor installation conditions, the ST50 thermal mass flow sensing element is constructed of stainless steel with Hastelloy-C tips. 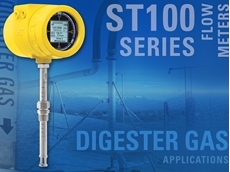 The ST50 Remote Mount Flow Meter’s thermal dispersion technology provides direct flow measurement for higher performance at a lower cost by eliminating the need for temperature sensors, flow computers or other devices required with orifice plates, Venturis, Vortex shedding and other meters. This ideal design also provides built-in temperature compensation for reliable measurement over a wide temperature range with almost no pressure-drop. 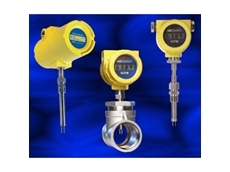 The ST50 Remote Mount Flow Meter is available in a wide range from AMS Instrumentation & Calibration.